Can You Recover Workers Comp For Emotional Stress? 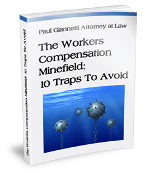 Can You Recover Workers’ Compensation For Emotional Stress? Sometimes mental stress can be as debilitating as a physical injury. Stress can make you unable to eat or sleep, unable to get out of bed, or even become physically ill. But is mental stress induced by a job compensable under New York workers’ compensation law? The answer depends largely on the type of stress suffered. New York workers that have suffered severe mental stress in the course of employment may have a valid workers compensation claim. However, the stress must be clearly caused by the job and produced by exceptional circumstances. For example, in 2009 a school bus matron was allowed workers’ compensation after being threatened by a student on her bus following her witnessing a sexual act between two students. Her doctors found that she had developed post-traumatic stress disorder as a result of the incident. Even though her employers initially alleged that her mental stress wasn’t work-related, a New York workers’ comp panel deemed her eligible for benefits. Workers might also be eligible for workers’ comp benefits for stress when witnessing a violent or traumatic act at work, such as a shooting or suicide. A secretary who found her boss’s body in his office after his suicide, for example, was able to gain workers’ comp benefits for her depression. Severe emotional stress caused by a workplace injury or occupational disease. In other words, it’s highly unlikely the stress created by a demanding boss, long hours or a poor review will be covered by workers’ compensation. If you have suffered extreme stress in the workplace that has resulted in needing medical attention and/or treatment, consult a knowledgeable Albany New York Workers’ Compensation attorney to find out your rights.